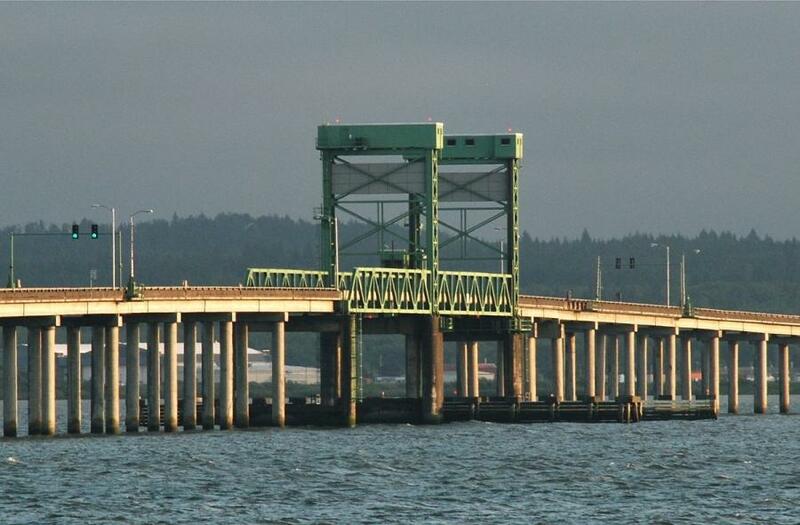 Major repairs to the New Youngs Bay Bridge, an important connection between Astoria and Warrenton on U.S. 101, begins. The extensive repair work is expected to take more than two years to complete. There will be periodic single lane closures at night to allow the contractor to move equipment. A complete two-week, night-time closure of the bridge will take place in 2021 toward the end of the project. An alternative route during periods of lane closures and the full closure is U.S. 101B over the Old Youngs Bay and Lewis and Clark River Bridges. The bridge was built in 1963. Heavy traffic, direct exposure to the elements and rapid changes in temperature have caused deterioration to key bridge parts that need repairs. In early March, the contractor will build the containment structure that will be attached to the sides of the bridge. A barge in the water with support boats will bring crew and materials to and from the barge. Once the containment structure is in place, actual construction will begin. Most of the construction will be performed below the bridge from the barge. Oregon State Bridge Construction Inc. of Scio, Ore., is the contractor performing the work. The total cost of construction is $12.4 million. For more information, visit oregon.gov/odot/projects/pages/project-details.aspx?project=18602.